If you’re craving to see your HTC One X look more like a vanilla Android handset rather than have the HTC Sense 4.0-infused version of Google’s platform, Cyanogenmod is coming to the rescue. The custom ROM is now available in almost full functionality on the One X and will bring a version of Android that’s closer to vanilla than what you see pre-loaded when you buy the phone. This would make your One X look almost like a Galaxy Nexus in terms of functionality. 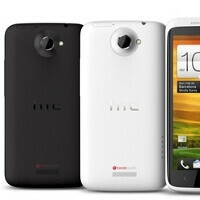 The mod however has only been tested with the quad-core Tegra 3-based version of HTC’s phone, while in the US, the handset comes with a dual-core, LTE-enabled Snapddragon S4, so proceed with caution. The ROM is built using custom files and is not yet released through Cyanogenmod’s official channels. Hacker TripNRaVeR of the TripNDroid is the person behind this particular build. The version is not yet completely functional though - the camera and Wi-Fi hotspot features aren’t working. Cellular data, calls and messages, or the basic functionality, is working fine. The rest should also be functional, and if you’re an early enhtusiast you could give it a try. CM9 for the One X remaps the multitasking button to start menu and multitasking is brought up by holding the home button. Hit up the source below to get the fine details and instructions. YES. THE REMAPPING WAS EXACTLY HOW OI WANTED IT TO BE LOLOLOL ALL CAPS COZ I'M SO HAPPY. goodbye stupid "settings" bar! "Proceed with caution"? More like don't be stupid enough to flash a ROM that's made for a phone with a different processor.